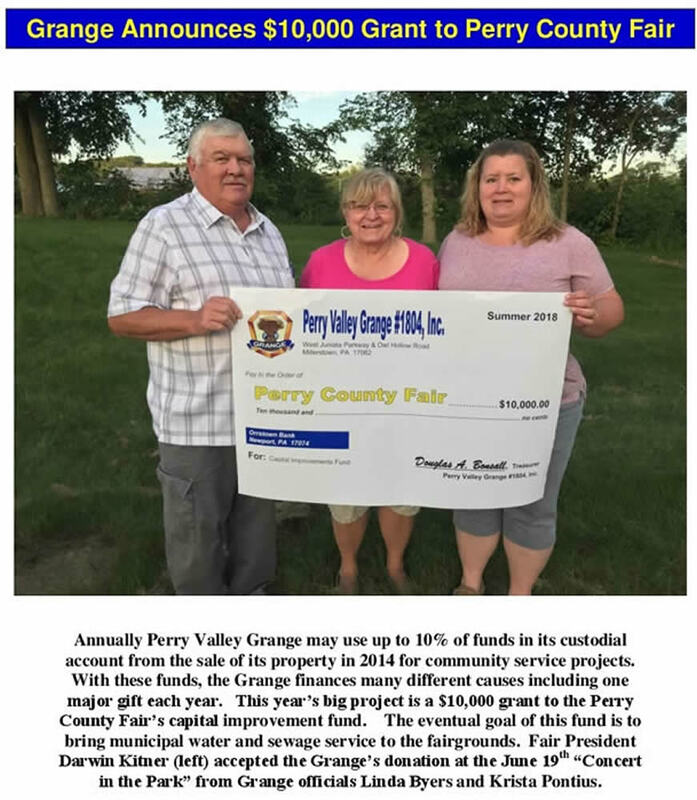 This year’s Grange exhibit earned a first place blue ribbon recently at the 2018 Perry County Fair and a second place red ribbon at the Juniata County Fair. 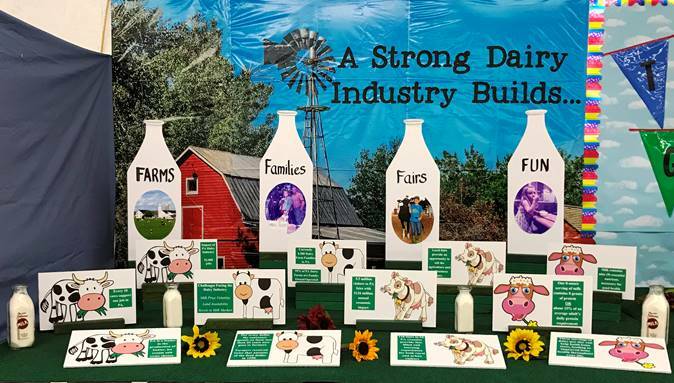 Following the state fair theme (Farms-Families-Fairs-Fun) the exhibit conveyed a message about the issues facing the dairy industry, the economic impact of the dairy business and the importance of including dairy products in a healthy daily diet. 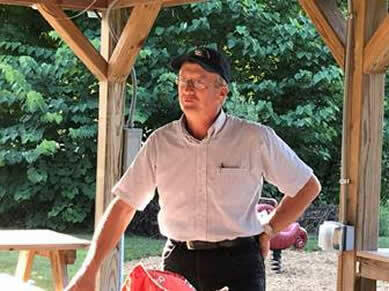 Dr. Jim Lawhead, Millerstown Veterinary Associates, spoke on good pet care at the Grange’s July picnic. 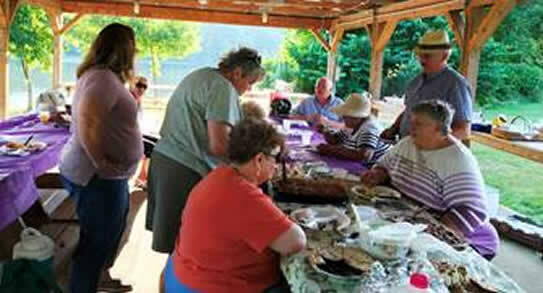 Everyone who attended the picnic enjoyed the food and fellowship despite the heat. Some canine and feline visitors attended the event with their owners. 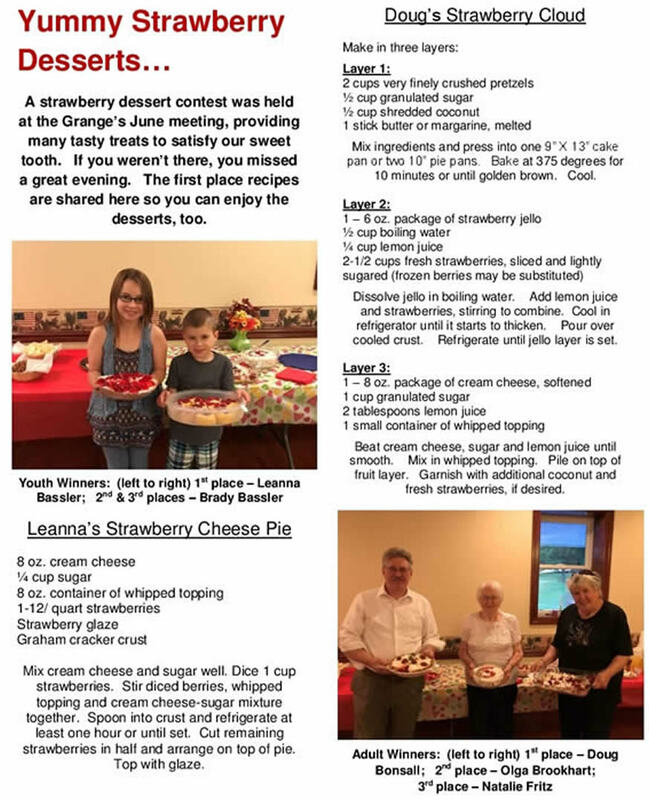 Perry Valley Grange held its annual recognition for continuous membership at a November 2017 fall fellowship dinner held in the Millerstown Community Park Building. Receiving certificates were: (left to right) Andrea Cameron - 65 years; Krista Pontius and John Gothel - both 25 years. Honorees not present included: Gerald Holman - 55 years; Lloyd Byers - 50 years and Robert Sheaffer - 45 years. More pictures of Grange activities can be found on other pages of this website, particularly the page entitled "Community Service". The photos below from a variety of social events and meetings do not fit into any other specific page.